Dial Me Up Some Vitamin Boost Body Wash! For the kids I purchase a different body wash - Anything that will get them clean and I wont go crazy seeing it being wasted down the drain! What is it with kids and wasting soap! So for our family Dial works great for our budget. I love finding new fragrances to try out. I want to smell good and leave the shower smelling good too! The New Dial Vitamin Boost Body Wash is just the right perfect for my nose. I have allergies y'all and I can't handle certain smells. It lathers nicely and it does make your skin feel smooth while showering. Of course you still need to moisturize when you get out! Experience a boost of soft skin with New Dial Vitamin Boost Body Wash! Now who doesn't want soft silky skin! I've craved that my whole life. Seriously what happened to the Colette genes! New Dial Vitamin Boost Body Wash gives your skin a daily boost of vitamins and I surely need all the vitamins this little body can take! The enhanced formula, with a moisturizing Vitamin Complex, helps draw vitamins and moisture directly to your skin. Dial Healther Skin. Healthier You. Vitamin Fact: Vitamin B is a natural humectant that helps draw in moisture and keep skin hydrated. Grab a bottle or two and see if you like it! Now that I've tried the lotion infused one, I want to try the oil infused one next! What scent is your favorite body wash? Or do you use bar soap or body wash? 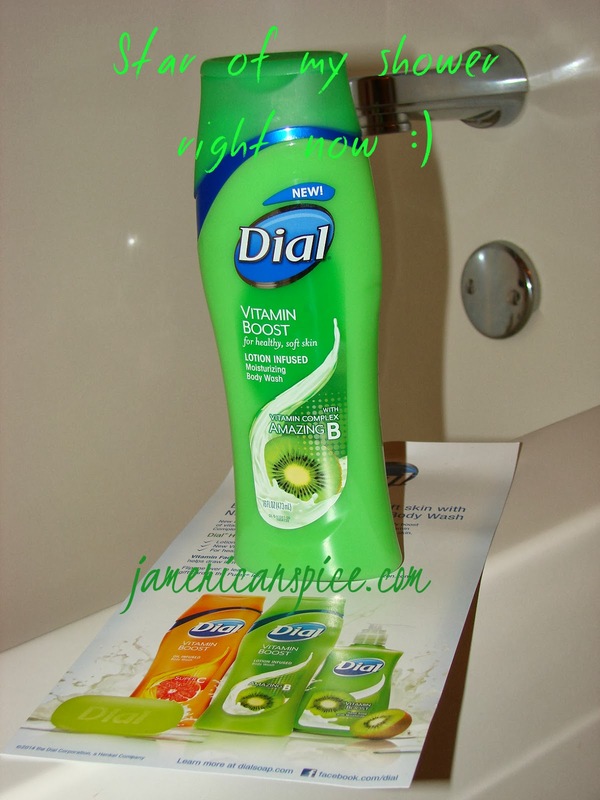 The Dial brand provided me with a sample of Dial Vitamin Boost Body Wash in exchange for a product review. However, all the opinions expressed here are my own. Don't know where my comment went. I saw this on BOGO sale the other day!